Founded in Portugal in 2011, under Nuno's leadership Feedzai has raised more than $82 million in venture funding, is on track to surpass 400 employees by the end of 2018, and continues to keep commerce safe and manage risk for many of the leading banks, retailers, and payment processors around the globe. 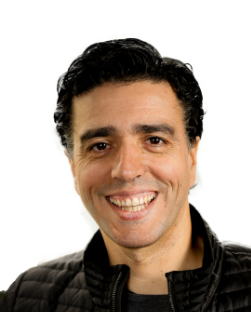 A recognized leader in the artificial intelligence and machine learning space, Nuno has been named Entrepreneur of the Year by his alma mater, London Business School, shared a stage with thought and tech leaders such as Stephen Hawking, Steve Wozniak or Richard Branson, and has been the driving force of Feedzai's global growth. He is also a member of the World Economic Forum’s Digital Leaders and Forbes’ Fintech Council. Prior to starting Feedzai, Nuno was an engineer for the European Space Agency, where he worked closely with several successful technology startups.